Home » Accessible Applications , Advertising and Marketing , Android , Apple , Apps , Arch Linux , Audio , Backup , Blogger , BSD (Berkeley Software Distribution) , Burning , Cd-Dvd Burning , CentOS , Chat » Top 10 blog posts for December 2013 from Linuxlandit & The Conqueror Penguin. Top 10 blog posts for December 2013 from Linuxlandit & The Conqueror Penguin. 1.- The state of Linux: the most popular Linux distributions [Infographic]. 2.- Top 10 Most Popular Torrent Sites of 2014. 3.- List of software that are a fork or derivative work based on XBMC Media Center, an open source media player application. 4.- Tmux is a software application that can be used to multiplex several virtual consoles. 5.- The Great Fall Of Internet Explorer. 7.- The Raven II is helping the open-source community advance the state of the art in surgical robotics. 8.- OpenELEC is a Linux-based embedded operating system built specifically to run XBMC, the open source entertainment media hub. 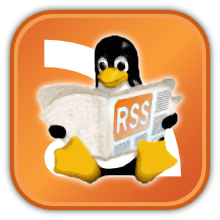 9.- Top 10 blog posts for September 2013 from Linuxlandit & The Conqueror Penguin. 10.- KlyDE Lightweight KDE Desktop project.